Best Buy offering Free BlackBerry Torch through December | BlackBerry Blast! If you're in the market for a BlackBerry Torch, Best Buy is definitely the place to go in December. 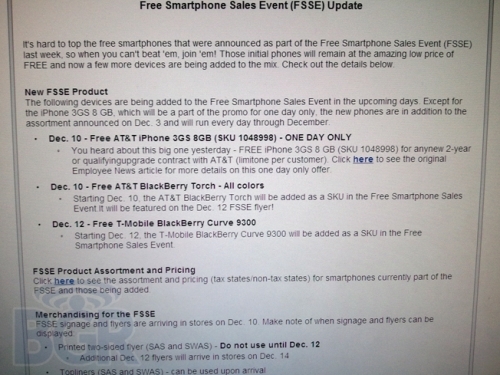 Best Buy is running a very special sale ,offering up the BlackBerry Torch for FREE from December 10 - 31. That's $0 for the hottest BlackBerry around. Best Buy is also offering the BlackBerry Curve 9300 for the same price of $0, starting December 12. To get the deal you'll have to start a new activation or have a qualified upgrade.